Doral has many fine places to call home. One of the newest offerings in the Doral real estate market is St. Moritz at the Islands at Doral. Located between 197th avenue and the Turnpike, this is the newest Lennar development in Doral. A direct access ramp off the Turnpike is under construction at 74th street which will make St. Moritz an easy commute to and from the Miami area. 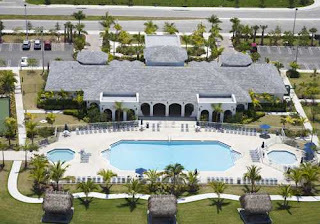 All of the homes include the amenities of the Islands of Doral which include tropical green areas, beautiful blue lakes, a private clubhouse, a fitness center, swimming pool with children’s pool, tennis and basketball courts, and playground for the kids. The private clubhouse also has an entertainment area for residents to use which includes a kitchen, a meeting center, and a spa. Residents also have access to the area’s many professional grade golf courses and resorts. 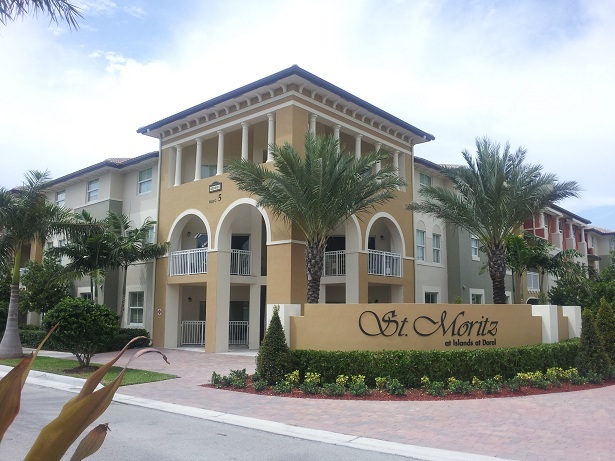 Residents of St. Moritz have their choice of seven floor plan including one and two story homes. 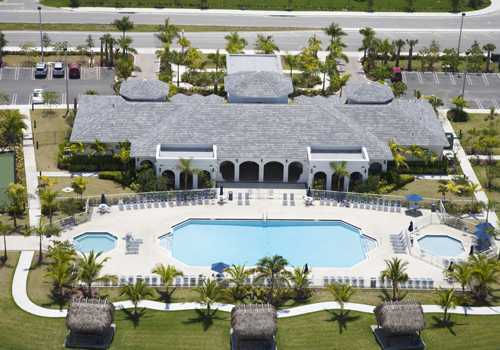 This is one of the largest choices offered in the Doral real estate market. Homes range from 1,088 to 1,500 square feet. All of the homes feature designer touches such as ceramic tile in the foyer, kitchen, laundry, and breakfast rooms, and carpeting in a choice of colors. The family room and bedrooms are all pre-wired for cable TV as well as the kitchen, family room, and all bedrooms are pre-wired for telephone service. The family room and bedrooms are also pre-wired for ceiling fans to keep cool in the hot Florida summer. Extra touches such as marble windowsills, smoke detectors, a quick recovery electric water heater, and digitally controlled high efficiency central heat and air make these homes state of the art. No detail has been left out in the kitchen and bathrooms. The kitchens of all the homes in St. Moritz feature brushed nickel hardware and natural wood cabinets. Low maintenance and beautiful mica countertops come in a choice of designer colors. A garbage disposal, GE appliances which include a 22 cubic foot refrigerator with water and ice dispenser, built in microwave, self-cleaning electric oven and range, and a built in dishwasher are included in all of the homes. Bathrooms are outfitted in luxury, too. Natural wood cabinets with marble countertops and brushed nickel hardware and ceramic tile are included in the bathrooms of all models. In the master bath homeowners can enjoy double vanity sinks, a clear shower enclosure, and theatre style lighting over the vanities. All of this luxury and style come at a modest price. Homes list from the mid to high $200,000’s making St. Moritz not only a great place to live, but one of the best deals in the Doral real estate market. Not only will residents enjoy a brand new home, but all of amenities of living at the Islands of Doral, and being part of one of the fastest growing and most stable communities in South Florida. 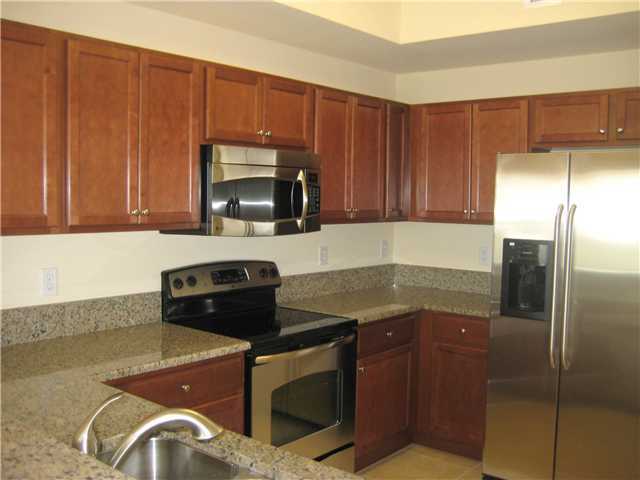 There are also units for rent at St. Moritz at Doral starting from $1,600/month.